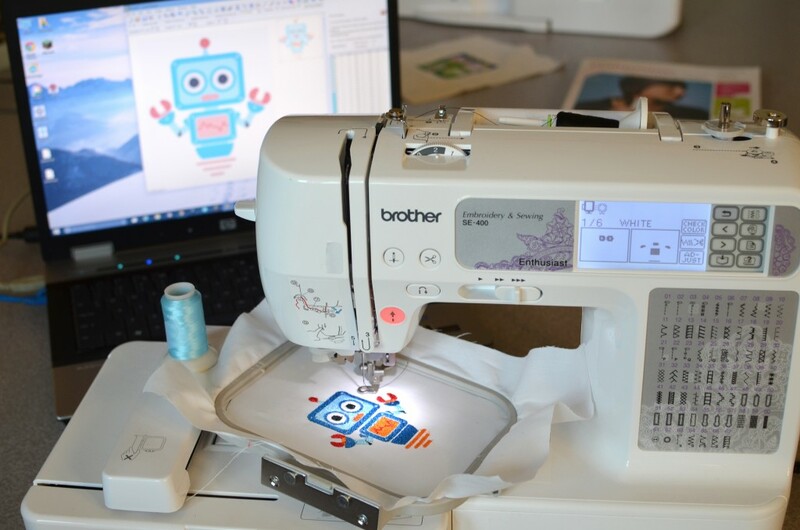 Digital Embroidery… what is it? Producing stitched pictures from a computerised image. This is set up through a program called SewArt (not open source). 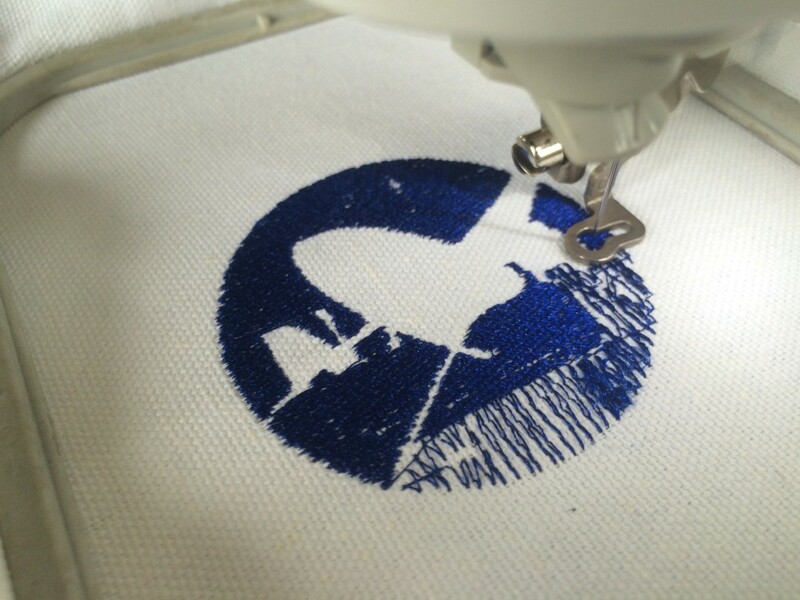 It converts a graphic into a stitch file that can be read by a sewing machine. paint pallette icon -> Select the number of colours to reduce to. These are the different thread colours that you’ll be loading into the machine. check the white bobbin thread is loaded, check tension dial is set to 0. This stops the white thread getting pulled through. Put the foot down, the needle down, then hit the green go button! If the stitching goes wrong in some way and you need to stop and cut the thread, you can adjust where you are in the sewing sequence, using a +- through the stitches and colours. Knowing this was coming up, I looked round for embroidery uses and patterns. While brainstorming for uses of embroidery, I drew up quite a blank. At first consideration, it has no physical use, and is just for aesthetic purposes. Some patterns that I considered for a headband. Conclusion: too ornate and complicated to reproduce. The closest to a functionality I could think of, was to convey information through pictures and design. 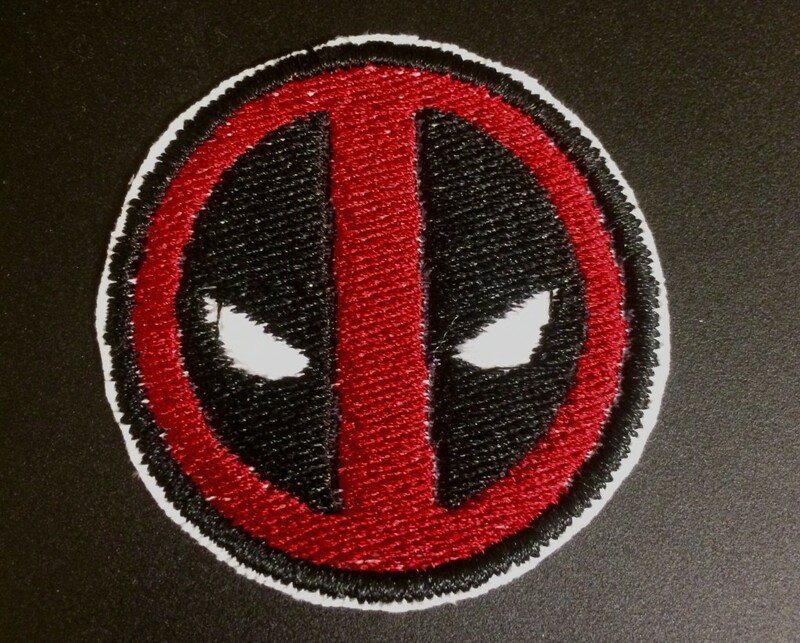 This is exactly what clothing patches do: decorate a garment, and are often used as logos. Who does this better than NASA? 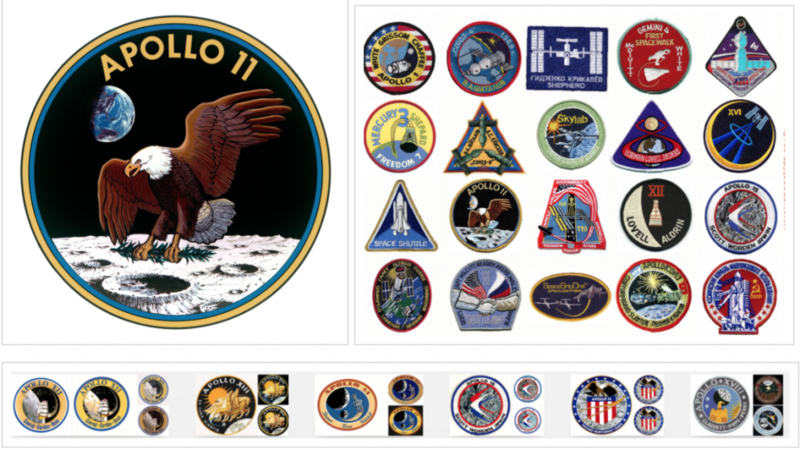 They have a mission patch for everything, and those mission patches are the most iconic use of embroidery. 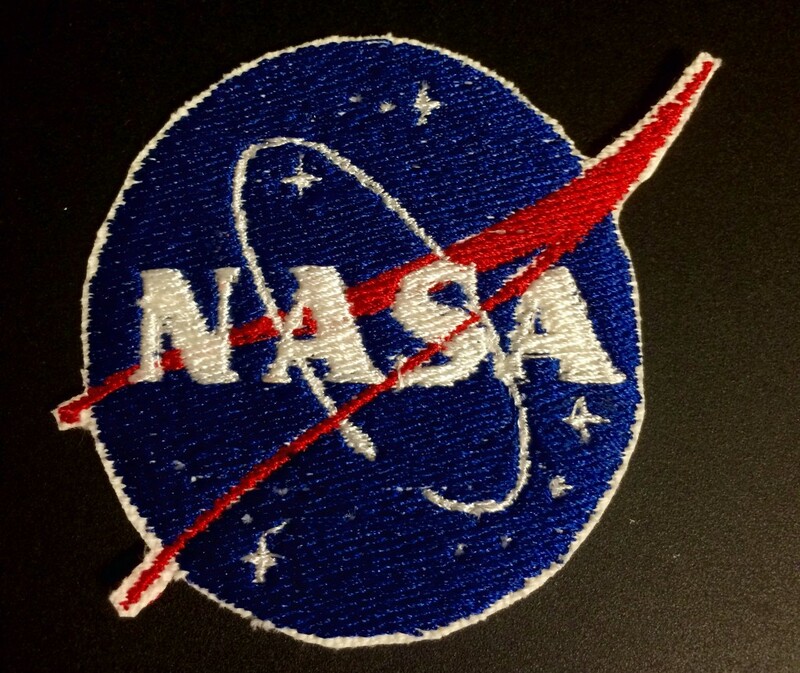 So much history and importance is associated with a simple embroidered patch. also made this Deadpool. Perfect design for simple shapes, minimal number of colours. Your posts seem to always been the most conversational and easiest to follow along. I find myself learning new things about the subjects that I had not previously learned in the lab. I also worked on digital embroidery this past Monday and found myself really enjoying it. It really brought me back to my high school Home Ec. days when I used to dread using a sewing machine. I hope to make many more patches for my backpack, as it is a great way to represent the the things you care about while walking around campus.